Football is a huge part of the German identity and provides a rare occasion for the Germans to show some solidarity as a nation. One of many reasons why the German Football Culture is so fascinating is the German Football League (Die Bundesliga). It has a brilliant reputation all around the world, not because of big players or big names that play in the league but because of its fans and the atmosphere they create. Sometimes, people from England like to fly over for a weekend just to witness the magic of German football culture – even though the English have their own big League (Premier League). But why is this? Why is German Football Culture so special? In every other big league you have a lot of clubs that were bought by big companies and as a result of this, many football fans would say that they ‘sold their soul’. They are now considered plastic clubs with no fanbase. They also get called toys of the billionaires. However, in Germany, you don’t really have clubs like that. In Germany there is a rule called “50+1” that prevents investors from buying more than 49% of a club. The rule was established to make sure that sporting interests will always be more important than economic interests. However, there are 3 exceptions to this rule. Bayer 04 Leverkusen, VFL Wolfsburg and 1899 Hoffenheim all belong to big companies. They are an exception because the companies that sponsor them are part of their identity. Bayer Leverkusen was founded by workers from the pharmaceuticals company Bayer, Wolfsburg is sponsored by Volkswagen which is basically the reason why the city of Wolfsburg exists and 1899 Hoffenheim is sponsored by Dietmar Hopp who founded the company SAP but sponsors Hoffenheim for longer than 20 years now, which makes him a big part of the identity of Hoffenheim. The Bundesliga does not conform to the price madness that other leagues get involved with. Beer and snacks have reasonable prices compared to those of the other big leagues. Most common German football snacks and drinks are Die Bratwurst, Die Bretzel, Das Bier and Die Cola. German Football Fans are the back bone of German Football Culture as well as the potion that keeps it alive. In Germany you go to the stadium not only to watch your team play but to witness the fans and how they celebrate their team. Even in bad times people keep jumping and singing to motivate their team to give everything they have until the very last second. And no matter if the team wins or loses, the players will always walk around the pitch and thank the fans for their effort. German Football Culture is known for the atmosphere. Most stadiums are sold out every week. 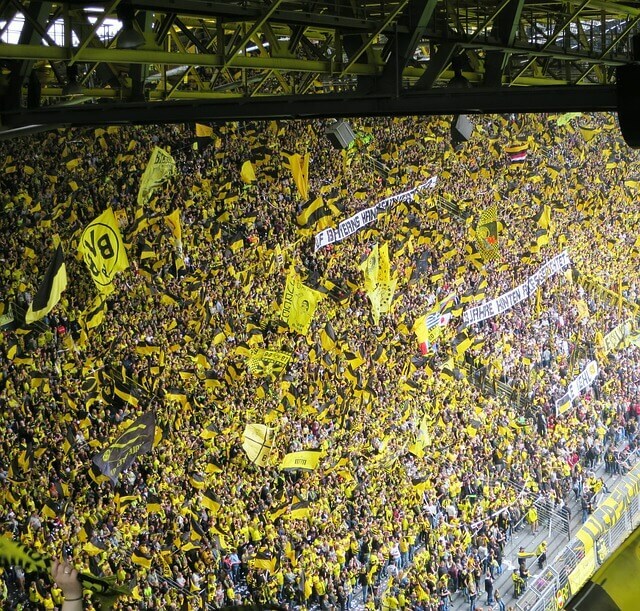 For example, the “Südkurve” (south curve), a stand in Borussia Dortmund’s Signal-Iduna Park is a myth itself. It’s called the “yellow wall”. The stadium can seat around 80,000 people. In one season, around 1.4 million people watched a Dortmund game. If people love anything about football then it is the game itself. This point might not be a particular thing about German Culture. It has to make this list anyway because if we love anything about football then it has to be football! This involves everything: the fans (Die Fans), the atmosphere (Die Atmosphäre), the tradition (Die Tradition) it has and the fascination it has. After reading this you might want to visit a game for yourself. I recommend every football fan to go and witness German Football Culture with their own eyes, even if you haven’t been a fan of the game before – it might just change your mind! 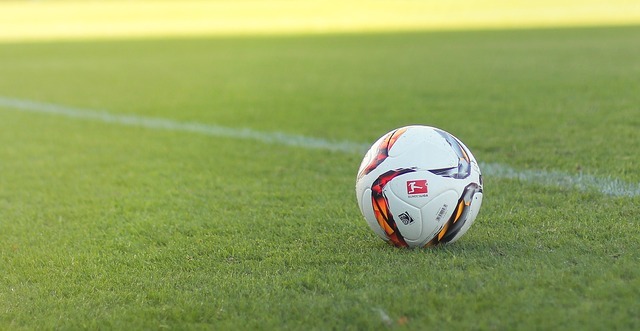 Let us know in the comments what you think about German Football Culture. Is it different in your country?